1. But, contrary though it seems, this is the best time of the year to plant new things and to work in the garden. The reason is simply fall weather, which, up until the ground freezes, is kind to human beings as well as to newly planted trees, shrubs, and perennial plants. 2. In fall, the soil still holds summer’s warmth, which encourages root growth up until the ground freezes. 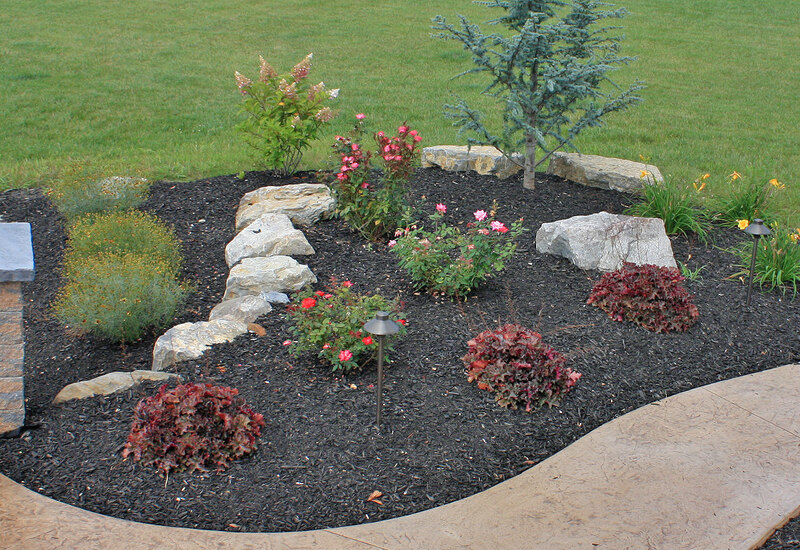 Fall planting gets perennials, shrubs, and trees off to a faster start the following spring. In mild-winter parts of the country, fall is even more emphatically the superior season for planting because roots can keep growing all winter. 3. In the fall, the vibrant colors come out with certain plants such as the red twig, yellow twig or nine bark tree. 4. Fire pit extends the time spent outside during the cooler summer/fall evenings. 5. An outdoor fireplace adds elegance to any outdoor living space while providing the warmth. 6. Even though summer is almost over, there is nothing like a steak on the grill. 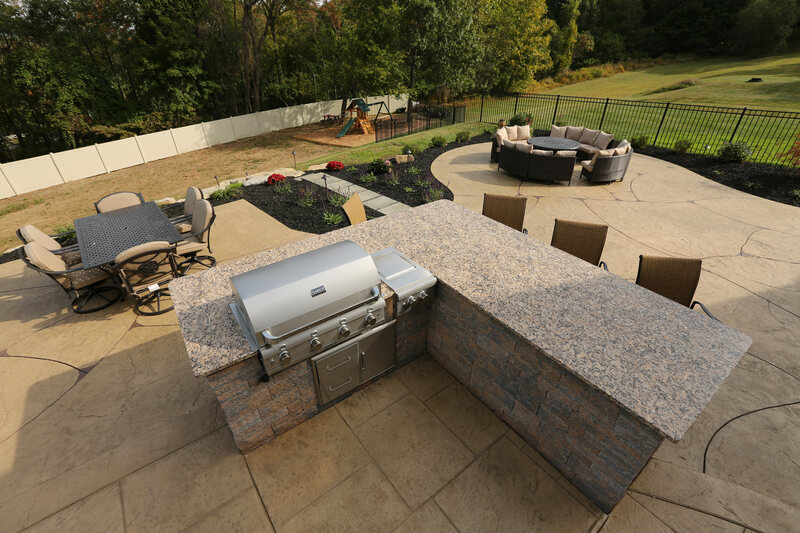 An outdoor kitchen creates the perfect outdoor living space. Put on a hoodie and enjoy entertaining family and friends. 7. After a hard day at work, coming home to the soothing sounds of a pondless water feature relieves the stress. 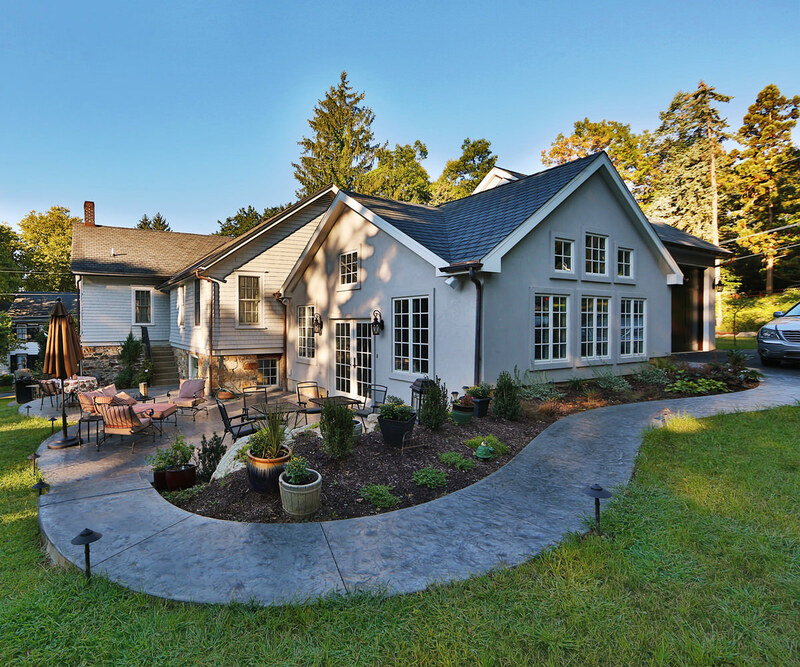 You still have time to create the perfect outdoor living space.